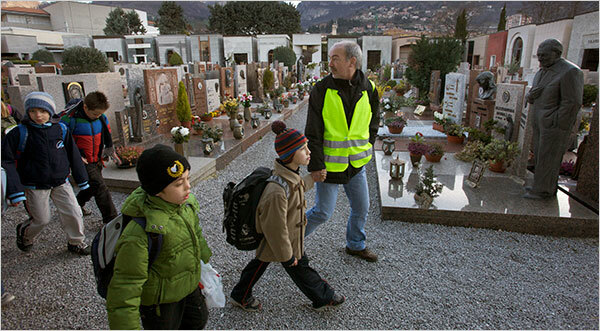 Each morning about 450 students walk to school in a zero school bus lead by a walking "driver" in Italy. Also know as the "piedibus" which means literally "foot bus" in Italian the concept is catching on and spreading in Europe. More on the Walking School Bus.